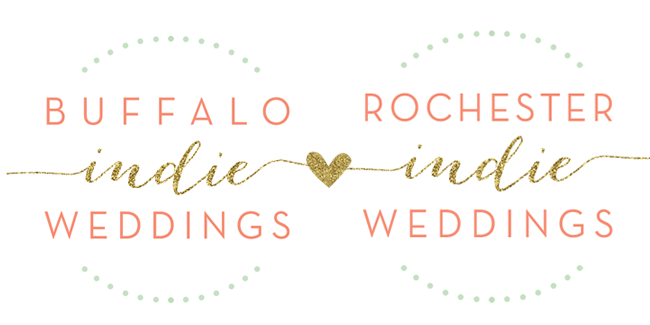 Buffalo + Rochester Indie Weddings: 2014 Wedding Giveaway! Meet the Winners!! 2014 Wedding Giveaway! Meet the Winners!! Let's be real - couples today have it pretty tough. A terrible economy, rocky job market and when you add on any personal struggles it makes throwing a huge party like a wedding seem completely out of reach. We know so many couples who either have to wait years to tie the knot, or settle for something less than what they've always dreamed of. This year we wanted to help make a big difference for one special couple by gathering as much support from our vendors as possible to create the biggest, baddest most creative wedding package Buffalo has ever seen! We accepted stories from couples of all ages who have had to put their wedding dreams on hold because of hardships or struggles. Among our many perfect couples, one was chosen by the fans and friends of the Boutique Bridal Party to receive the Dream Wedding Giveaway package worth over $15,000! Avid lovers of music, literature and Buffalo, this young couple have been sharing their lives together since they were 17. 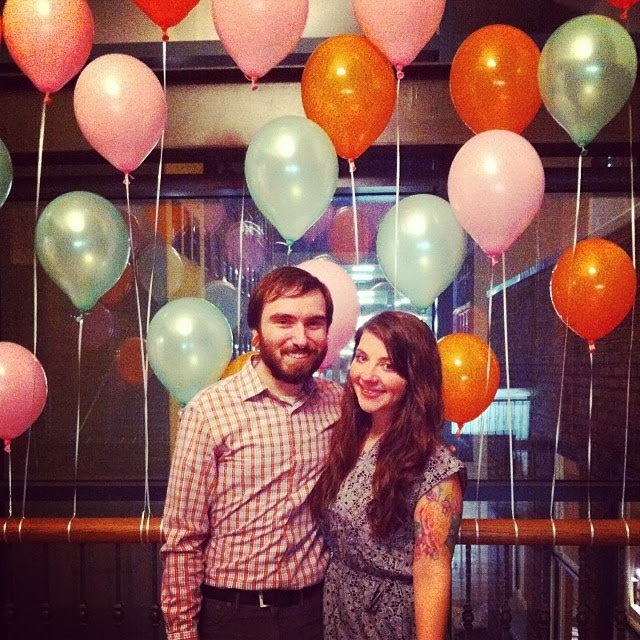 They live and work in the Elmwood Village and have been saving and trying to plan their wedding amidst many financial and personal struggles. This quote from Jordan really sums up their undying positive attitude and immense appreciation for what really matters: their love for each other. "Already it seems there will be more than a handful of cost cutting compromises, but let’s forget for a second and fast forward a bit. Let’s imagine 30, 40, 50 years from now: Val and I still a loving pair and now that cute old wrinkled-up couple that everyone knows. We want to remember this day as the biggest, loving-est bash that ever was. We'll still be telling anyone who’ll listen just how wonderful it all was; how many of our loving friends and family attended, devoured the delicious food and danced the night away, arm in arm, volume on 11. The perfect wedding. We’re in love and like our own grandparents still kicking, we’ll continue to be in love." Their incredible connection and no-matter-what-we'll-still-have-each-other outlook is clearly what spoke the most to our fans, and we're SO excited to be a part of their special day! Speaking on behalf of all of the vendors in the Boutique Bridal Party - congratulations Jordan and Val, and we can't wait to party with you!! The Party Was a BLAST!